Between the 5-8 October social workers and political leaders met at a summit in Vladivostok to mark the 25 anniversary of social work in Russia. The main topics of discussion were – education and training of social workers, safety of social workers at their work places, social responsibilities and social control. 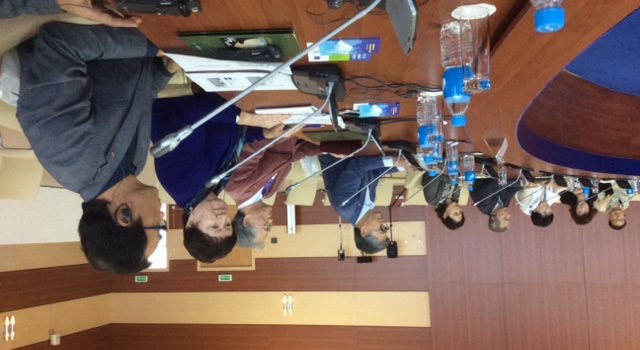 The Summit was organised by the Government of Vladivostok, IFSW member The Union of Social Workers and Social Pedagogues (USWSP), Council of Europe, Ministry of Labour and Social Protection of Russia. IFSW Secretary-General, Rory Truell sent congratulations on behalf of IFSW to the USWSP for playing a significant role in building the profession in Russia. “The success of the summit and wide range of participants is a testament to the effective work of the USWSP. It takes significant leadership to promote, legitimise and make relevant a profession that is new to a country, – especially a profession that will positively impact on the lives of many communities”, he said. Link to a Youtube video highlighting event at the conference.